[is] razor-edged and compulsively readable, the pages fly by." because the steadfast, relentless Dell, with his uncompromising morality, commands attention." 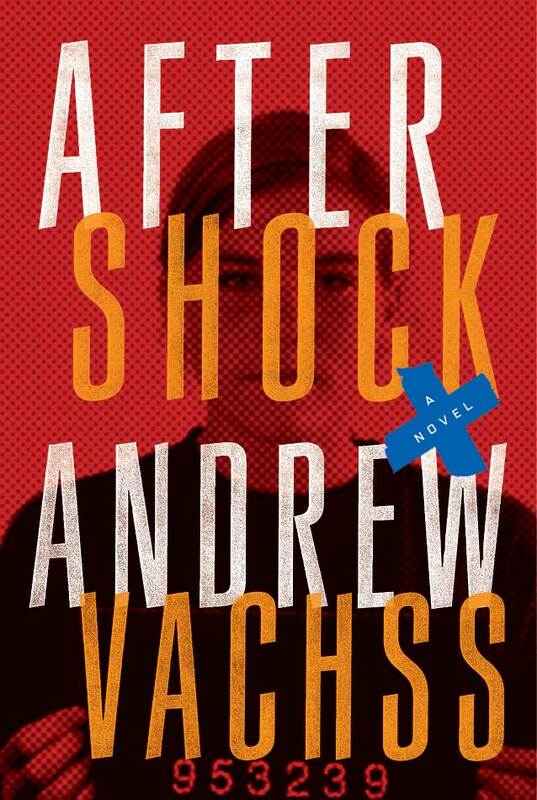 "Vachss isn't trying to tell a legal drama or infuse his story with mock suspense. We are not here to see Atticus Finch sway a jury. We are here because Vachss has put us in the jury box. He wants us to render verdict on the justice system." like a sit-down with Andrew Vachss." as published by Kirkus on June 11, 2013, click here. "Aftershock is crime fiction at its best built around a solid cast of characters, with an intriguing mythology. narration often gives me. " To read the rest of the Guilded Earlobe's review of the audiobook, click here. To read the soundtrack to Aftershock, click here. "Great, dark and chilling hardboiled prose, the best dialogue Vachss has written so far and a lot to think about. A winner." Killing a deer—what they call "hunting" around here—is like fishing with sonar. Or climbing a mountain with a team of Sherpas walking ahead of you to build a base camp before you arrive. Time enough to take off your oxygen mask and warm yourself by the artificial heat before you have some champagne and turn in for the night. All that's needed is money. Of course, other people with money sneer at them for doing it. "They wouldn't be hunting deer if the deer could shoot back." They sound like they're on opposite sides, but they're really standing on one side or another of a line that runs right through the center of their "circle"—the same circle that surrounds their club like a fortress wall. People with money might disagree on how it should be used. There's only one rule: it can never be used up. If that happens, they kick you out of that club. Whether members pay to go on a catered safari or watch wars on television makes no difference. "They're all cut from the same cloth," a guy I served with told me once. At first, I thought he was Irish, but I never asked—that was one of the rules. When he said "cut from the same cloth," he meant that people who watch violence from a safe distance can never know the reality of it. They only know what people like us tell them. And we never tell them the truth—why would we? So they read books, or watch television, or see a movie. That's where some of them got the idea that taking body parts off enemies started in Vietnam. Like those ear necklaces. Some say those prove how war turns people into beasts. They're as stupid as those who believe they're looking at the work of a genuine hard man. Those last kind, they're the buyers. They never think of what they buy as anything but the real thing. How would they tell? The hardest men aren't soldiers—they're the ones who push the war buttons; they hire the soldiers, and tell them who to kill. Men like us, we make a lot more money than soldiers who fight for a country. We know things, too. Taking body parts didn't start in Vietnam. And it was never about souvenirs. I know this because I heard it from soldiers who heard it from other soldiers, all the way back. No matter where in the world, you always needed proof if you wanted to be paid in anything besides money. Maybe you were forced to fight; maybe you were the aggressor—that doesn't matter. If you wanted to be paid in respect, the highest peak was to show a piece of the enemy, prove you were close enough to touch him. Those pieces have a story of their own. That's why they're more prized than gold. When you return with your proof, the whole village scatters the enemy's body parts all around their border, a warning to whoever thinks of being the next attacker. You can still see this: rotting heads mounted high on stakes surrounding a village. That's a blood art. If you impale the heads skillfully enough, the weather will eventually reduce them to bleached skulls. In some places, this is the only safety there ever is, or ever can be. And that spell only holds as long as the children of that village grow up to take the place of those who planted those stakes. And their children's children. That's where "raising the stakes" came from. No matter how big the gambler, there's stakes only a very few will play for. Broke, you can always get some more money and play again. Broken, you're done playing. I know this because I saw it happen. I watched jungle fighters carve still-beating hearts out of fresh-killed enemy, and gnaw on them like starving leopards. The men watching with me, they were older, more experienced. They told me I wasn't seeing savagery; I was seeing tradition. Been going on for centuries, they said. Eat your enemy's heart, and you take his power for your own. Like any belief, any religion, it started before anyone alive could actually remember. So it has to keep generating its own power to keep creating new believers. I saw some of my own kind chop off fingers from corpses to make amulet necklaces. But in the jungle, it's never what you did, it's always why you did it. If the finger-choppers ever showed off the trophies they took to the heart-eaters, it would make them suspicious. In the jungle, suspicious is the same as scared. If the heart-eaters got too suspicious, they might take some lives to calm themselves. But they'd never eat those hearts.